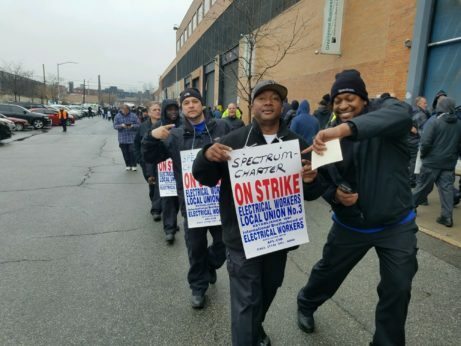 NEW YORK—Thousands of workers on strike against the cable giant Charter/Spectrum rallied on Monday in Brooklyn’s Cadman Plaza to demand their employer return to the bargaining table. These were the sentiments of the Brooklyn crowd after half-a-year on the picket lines. 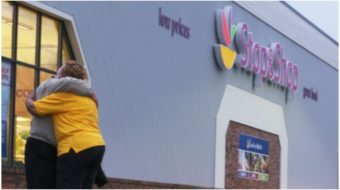 Spectrum has refused to negotiate a contract that does not take away many benefits. Local 3 workers hook up all the cables that deliver Charter Communications channels to their customers. Charter Communications is Verizon’s top competitor in New York City, and the second largest cable operator in the U.S. after Comcast. The company rebranded itself as Spectrum after acquiring Time Warner Cable in May 2016, and reported over $40 billion in revenue in 2016. CEO Tom Rutledge took $98.5 million for himself. 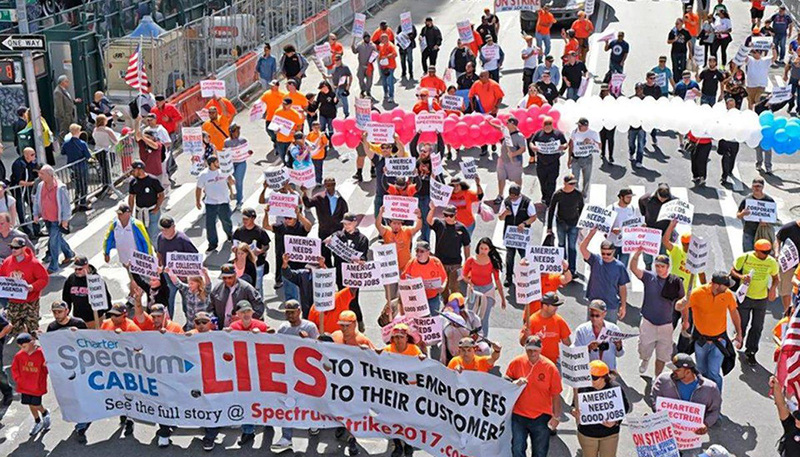 Spectrum has offered a raise, but Local 3 officials said it won’t come close to offsetting proposed cuts in pensions, 401(k) plans, health benefits, paid holidays, accrued sick time, and contributions to an education trust fund that allowed employees and their spouses to attend college. Another issue is contracting out. This is simply a way of undercutting union wages and making inroads to reduce the union workforce. The rally, which started on the Brooklyn side of the Brooklyn Bridge, was attended by Sheet Metal Workers Local 28, International Union of Operating Engineers Local 15, SEIU 1199, and many other city unions. Richard Trumka, head of the AFL-CIO, and New York Gov. Cuomo also attended and addressed the rally. When the local leader of IBEW told workers that CEO Rutledge’s $98 million salary made him the highest-paid boss in the United States, the boos, jeers and comments were not pleasant. It took some time before the NYC unions got behind this strike; one of the first public unions to answer the call was the New York Fire Department. 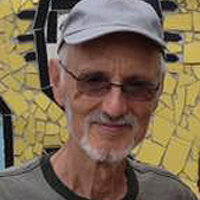 Gerard Fitzgerald, UFA president, pledged money and support early on, and other unions joined the struggle for the Charter/Spectrum workers over time. The huge march took several hours to get onto the Brooklyn Bridge and walk across to Foley Square in Manhattan, where a second demonstration was held. Mayor Bill de Blasio spoke at Foley Square, saying, “Brothers and sisters, I want to say to you on behalf of eight-and-a-half million New Yorkers, New York City is a union town. We do not accept a greedy corporation trying to undercut the most basic rights of people.